Keep your printed products looking neat, organized, and professional by choosing the right solution of our Bindery Services for your books, workbooks, novels, pamphlets, catalogs, and more. Choose between a variety of binding solutions that fit your specific needs. 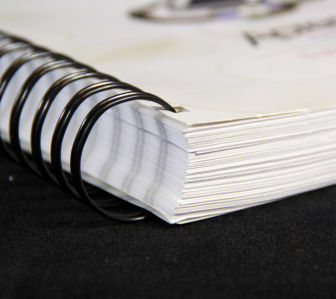 We offer cost-effective and eco-friendly binding methods such as; perfect bound, spiral/coil, comb, saddle-stitch, wire-o, concealed, and case-bound bindings for just about any sized project you desire. At Corporate Disk Company, we’ve helped thousands of clients all around the world providing quality product manufacturing services for well over 30 years. 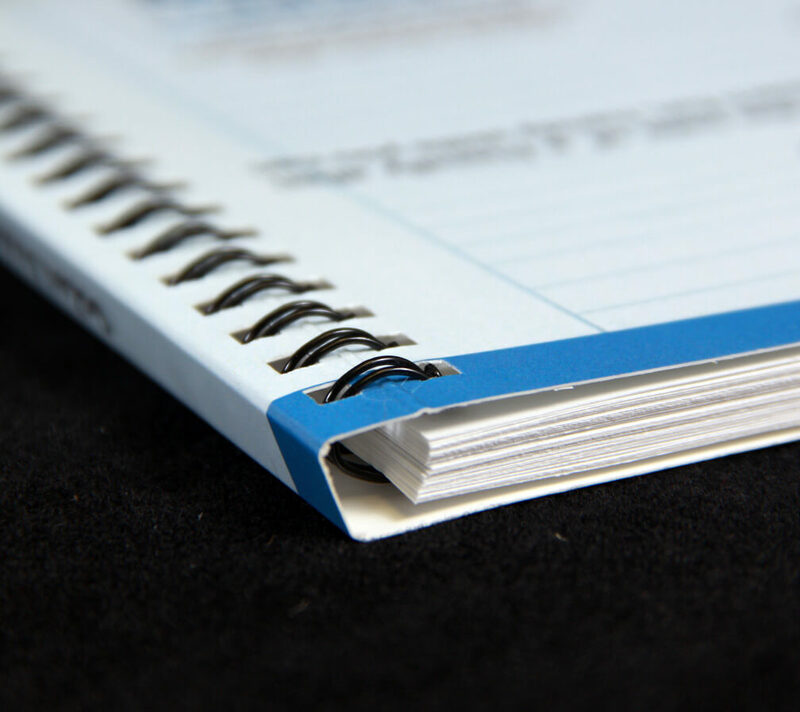 Our representatives will get the details of your bindery project and provide you with accurate quotes, design specifications, samples, and a variety of styles for you to choose from. Perfect binding is the binding that creates soft-cover or paperback books. This is probably the most common binding used for a standard book because of the professional finished look. The cover wraps around the entire book and is glued on at the spine. The covers can be laminated with either a gloss lamination or even a soft-touch lamination. Some thicker magazines can also be perfect bound as opposed to a saddle stitch binding method. 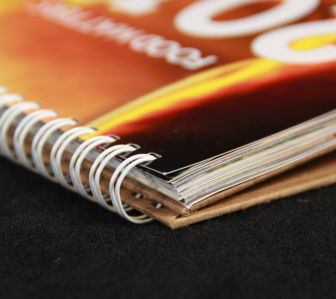 Saddle Stitched binding is commly used for workbooks, magazine, newsletters, brochures, or any type of book/booklet you need the pages held together with a lower cost binding method. The book is printed on a larger sheet and then folded in half with some staples to hold the pages together. 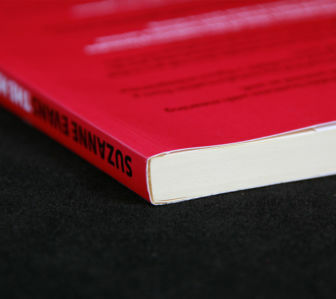 Saddle stitched books can either have a heavier cover, or have a self-cover. Common sizes are US Letter or A4 in other parts of the world. 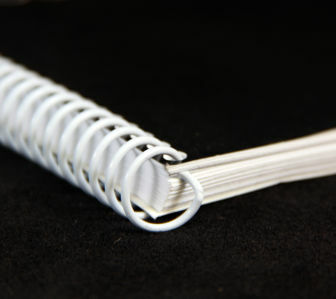 Spiral/Coil binding is a great solution for workbooks and notebooks because the user can open, use, and write in the book a variety of different ways. It is also a cost effective binding method. Plastic spiral coil is made in many different diameters to be able to fit just about any book’s page count. Plastic coil is also very durable as the plastic bounces back to original shape if it is put underneath something heavy. Case-bound binding is the common binding method that creates hard-cover books. The interior book pages are glued together into textblock signatures, then the textblock is attached to the cover (a.k.a. case) which is made of cardboard covered with either paper, cloth, or sometimes vinyl or leather. 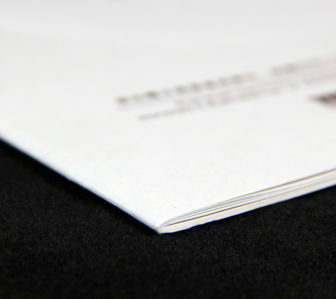 A dust cover is no longer needed because of printing technology changes, but is still used because of the standard look for a hard-cover book. Wire-O binding is similar to Plastic Coil and some might even say it’s an elegant upgrade. It also offers straight page turning which means the pages to not shift like they would with a spiral binding. Also a great solution for workbooks and notebooks because the user can open, use, and write in the book a variety of different ways. Wire-O is made in many different diameters to be able to fit just about any book’s page count. Even though ring bindery isn’t an official binding method, it is another way to keep your printed material together like any of the other binding methods. The nice thing about a ring binder is that additional content can be added, and there are many options for the choices of ring binders including the thickness, size of rings, cover material, pockets, and event a bunch of options for customizing the binder cover. 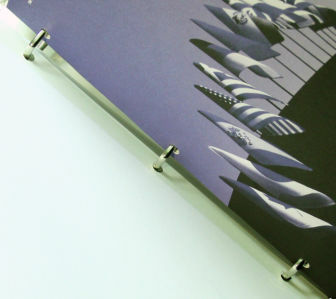 A ring binder can also add an increased perceived value to your printed material. Let’s say you like the usability of a Wire-O bound book, but want a professional look like a Perfect Bound Book. Here is the perfect (no pun intended) solution. A concealed wire-o book offers full flat opening that workbook users like, but it also has a cover that includes a spine to be able to see which book it is on the home library shelf. It might not be noticeable right away that it isn’t a perfect bound book. 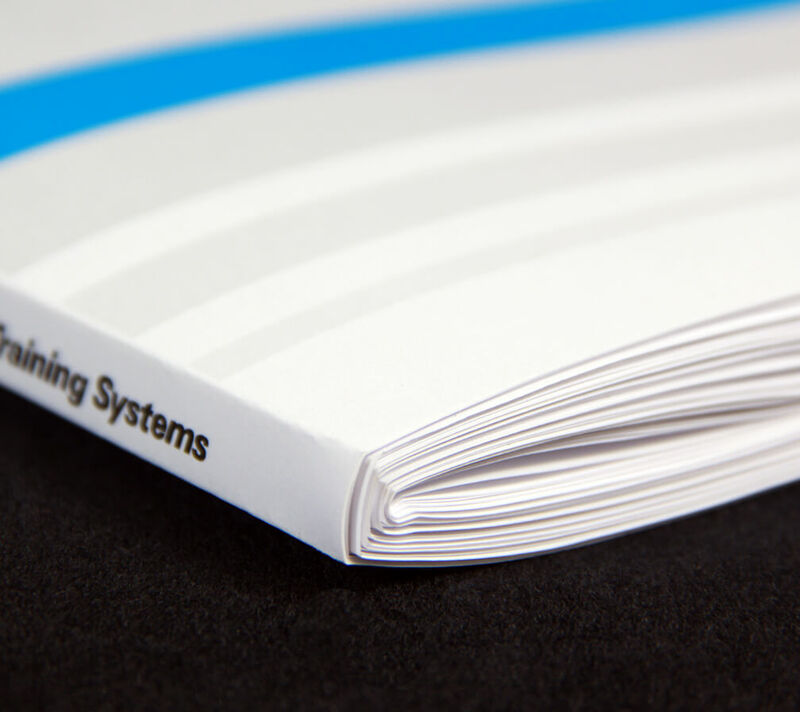 Another hybrid bindery solution is a Square Spine Saddle Stitch. It has the efficiency that standard saddle stitched binding offers with just a couple of stitches (staples) holding it together, but since the spine is squared off, it can actually have information printed on the spine. 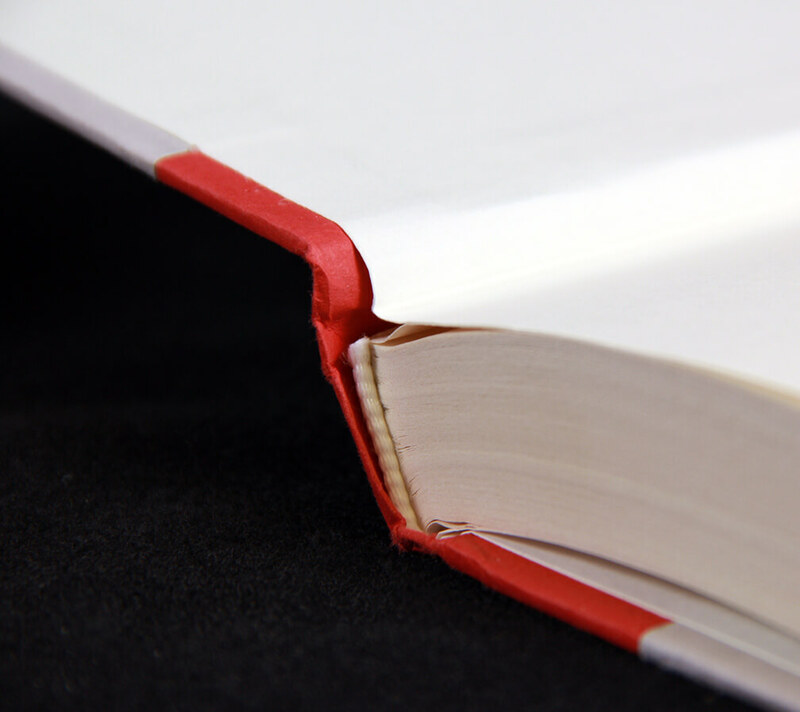 The finished look of a square spine saddle stitched book is similar to a perfect bound book, but this binding method actually offers the book to be opened and used flat for the workbook user’s enjoyment. If you have information that the reader needs to do work while reading, it is a really good idea to provide them the right tools to learn the best way possible. For that, we recommend an Easel Backed Book. Basically it is a Wire-O bound book with a specially designed Easel Back to allow for the book to stand upright while going the the instruction. Maybe you’ve seen it with some calendars, but for engaged instruction it a great additional learning tool. View our BINDING QUICK GUIDE to get detailed information about our binding options.